What is the best digital piano for the home? Selecting a piano is a matter of personal choice. What sounds, touch, feel, design and price suit your needs? One of the first questions that comes up with a new piano student is what type of piano to buy, electronic or acoustic. Budget plays a huge roll, of course, but also things like maintenance and the possibility to practice with headphones. 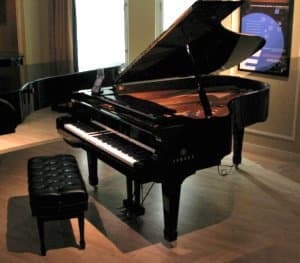 A digital piano is a type of electronic keyboard, but "imitating" a regular acoustic upright or grand piano, though it's both smaller and lighter. Digital pianos are constantly being improved, and should be seriously compared with acoustic pianos as a great alternative. The digital piano has developed enormously the last 10 years and is now a great instrument both in quality and sound. 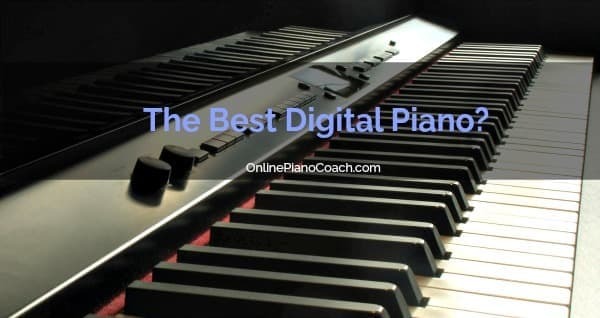 The best digital piano normally has full size keys and all 88 of them as well. You can play loud and soft (called "touch sensitive") and it has pedals like a "normal" piano. However, digital pianos and electronic piano keyboards are getting harder to tell apart. The quality is getting better all the time, though. You don’t have to tune it. Digital pianos are relatively lightweight, and can be moved easier. You can practice with headphones anytime of the day (and night!) you like. You can easily record yourself, to use for practice or even to make your own CD. A digital piano keyboard can be connected with a computer; internet and software- there are no limits! There are fun sounds to change to when you play- you don't have to practice with piano sound all the time. Play organ, harpsichord and ukulele- anything you like. A digital piano is usually much cheaper than an acoustic piano. An electronic piano is not very sensitive to climate changes. Because of that it is great for very humid or dry locations (like the rain-forest or the desert!) where an acoustic instrument would require too much maintenance. It is not an acoustic piano! Acoustic pianos are the real deal. Unless the acoustic is in a really bad shape, nothing compares to having a “real” instrument. You need electricity. (Duh.) Black out? No practice! Even the best digital piano wear out. An acoustic piano can last for a lifetime and more. An electric- has yet to be seen? So far, after 10 years of relatively heavy use, my Yamaha Clavinova has had some issues with a key that had to be replaced (cost as much as a piano tuning) and generally does not seem to have the same key “action” anymore as when I bought it. The dynamic range of a digital piano is not the same as an acoustic piano. It can be really good- but an acoustic piano has no limit to what “colors” of sound you can produce. I don’t believe it is a good idea to buy a second hand one. At least not if it is more than 10 years old. Whereas a well maintained and cared for acoustic piano can get even better with age. 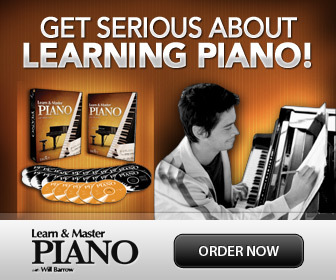 Below I have handpicked what I consider a great choice of digital pianos that are for learning to play the piano. This list is not in any particular order. The links go to Amazon, which have a large selection of digital pianos at great prices. The Best Digital Piano of All…? So, have you decided yet? Acoustic or electric? Grand or upright? New or old? I will make it even harder for you! This is a hybrid between a digital and acoustic piano- since it is both! The Disklavier is an amazing instrument with limitless possibilities. You can choose between upright and grand pianos. This is a really fantastic instrument, and definitely the one thing I would bring to a deserted island… (...or maybe not, no electricity!) But, it is expensive. On my wish list, right after a Steinway or Bosendorfer grand piano - absolutely! What Piano Bench Should You Get?